Land Rover has a plug-in hybrid Evoque ready for the rest of the world—but it’ll skip the U.S. The 2020 Land Rover Range Rover Evoque emerges from finishing school with more refined road manners. With the 2020 Evoque, Land Rover revamps the best-selling vehicle that wears the Range Rover badge. Better in almost every way, the 2020 Evoque’s shaped more softly, rolls down the road more quietly, and navigates on and off-road more confidently, sometimes through a see-through set of camera-fied goggles. We likened the first Range Rover Evoque’s pretty, stylish shape to a stiletto heel. This time, it’s more of a chunky low heel. The sheet metal sides have grown taller, the glass slimmer, the wheels bigger; it’s more a tactical weekend shoe than a slinky Louboutin, though LED highlights telegraph some strong graphic details. The cabin’s far richer than before, with available woven-cloth seats and stitched-leather dash. It’s awash in digital displays just large enough to encourage an informed society, not drown the driver out with too much information. Land Rover taps a new turbo-4 engine for all Evoques. 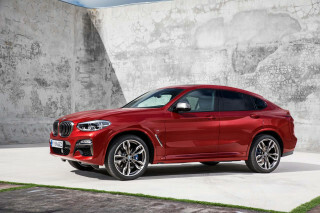 The base 246-horsepower version of the 2.0-liter turbo-4 hits 60 mph in 7.0 seconds and a 143-mph top speed, according to Land Rover, and it does it in considerably more hushed tones than the grouchy engine in last year’s model. 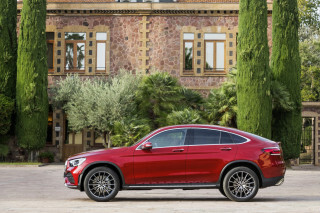 A new 9-speed automatic handles shifts better, too, and the new all-wheel-drive system can disconnect its rear axle to conserve fuel. Turn up the same engine’s turbo wick and the 2020 Evoque presses out 296 hp, drops 0-60 mph times to 6.3 seconds, reaches 150 mph, and earns a more sporting suspension with adaptive dampers and adjustable steering weight. The high-output engine also gets a 48-volt mild-hybrid system that can run accessories, smooth the stop/start function, and let the car “sail” under no engine power at speeds below 11 mph; oddly, the mild-hybrid earns the same 23 mpg combined as the non-mild-hybrid Evoque. The standard strut and multi-link rear suspension doles out more comfortable ride motions than the stiff-kneed first-generation Evoque, and adaptive dampers might aid its ride even more—a good thing, given a range of wheels and tires that start at 18-inchers and finish at massive 21-inchers. The steering’s light and without much feel, but pointing and squirting is easy. Passenger space hasn’t improved much, and neither has the Evoque’s footprint. The front seats would be great for slimmer builds, but bigger passengers might ride atop its narrowly bolstered bottom cushions. The back bench can tote two larger adults, but head room slights the talls again, and knee room is slim. The 2020 Evoque has 21.5 cubic feet of space behind the second row, fine for a couple of roll-aboards. No crash-test data exists, but every Evoque now has automatic emergency braking. Spendy models get a rear camera mirror—and some sport a camera view that “disappears” the car’s front end, and shows road obstacles on the car’s central display. All 2020 Evoque crossover SUVs now have Apple CarPlay and Android Auto compatibility, a 10.0-inch touchscreen, and LED headlights. The R-Dynamic models spool up more turbo power and can be fitted with adaptive dampers to go with their mild-hybrid drivetrain. Spec up a base $43,645 Evoque into R-Dynamic HSE trim with a sliding panoramic roof, Kvadrat wool seats, touchscreen climate controls and 21-inch wheels, and the Evoque slides into the garage wearing nearly $55,000 worth of bling. Fashion has its price—and we’re sure the Evoque’s tag won’t stop there. The Evoque’s traded in its sharp stilettos for a chunkier low heel. The 2020 Range Rover Evoque’s gone a bit suburban. The swanky stiletto shape’s softened into a softer wedge. It’s still a statement piece that stands out in the swarm of more anodyne SUVs. Land Rover designers say the Evoque can be reduced down to two lines: The rising one kicks its rear end in the air, while the falling roofline tapers its shape into a dart. The formula works in its second generation much like it did in MX-5s and Minis and other design pieces before it: The same, only more refined. From some angles the new Evoque unapologetically cribs from the closet of its bigger Velar sibling. It borrows the coppery trim, the honeycomb grille, the pop-out door handles. From other angles, it’s receded from the origami folds in the first-generation crossover. Some crispness has been lost. 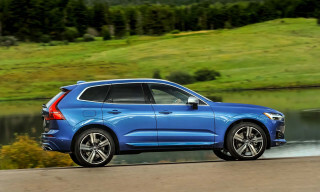 Taller door panels thicken it from the sides, big 21-inch wheels border on outlandish, and without two-door and convertible body styles, the 2020 Evoque wears just one classic SUV silhouette. 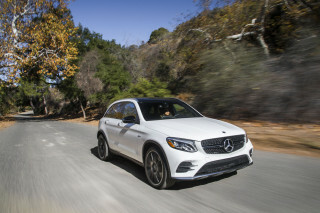 It’s still the runway model among all its catalog colleagues, especially when it wears a contrasting roof, black exterior trim, or the R-Dynamic’s gray and bronze details. It’s sad that Land Rover’s left bright colors behind in favor of the German rainbow of paint colors the Evoque wears now: gray, black, white, silver, and another gray or three (they keep some red in the back, if you promise not to let it get out). The Evoque cockpit prefers the sublime over the unrestrained. Digital displays nestle in the horizontal dash and on some versions, in the place of the gauges and climate controls. Clickers and switches sit quietly in a composed cabin without any frippy lines or finishes. It’s the kind of place that would send Marie Kondo into early retirement. It’s also a place where the basic furnishings benefit from a spendy trip through the option sheet: We’d skip the Land Rover leather offerings and head right to the fascinating reclaimed eucalyptus fabric—or better yet, the Kvadrat wool seats that make cloth cool again. Quieter, quicker, and more composed, the 2020 Range Rover Evoque improves in all performance vectors. No other Range Rover SUV can be described as a point-and-shoot urban crossover. 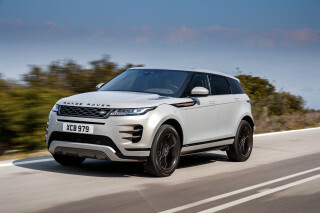 Yet, that’s the most apt description for the 2020 Evoque, a compact utility vehicle with an entertaining driving character that’s as surefooted on by-roads as it is on gravel trails. Two versions of the Evoque share a 2.0-liter turbo-4 engine, standard all-wheel drive, and a 9-speed automatic. It’s not such a stretch to imagine the logical next steps beyond the higher-output Evoque. The top Evoque for now is rated at 296 horsepower and 295 pound-feet of torque, and coupled to a 48-volt mild-hybrid system and adaptive dampers, it’s all but a down payment on a future Evoque SVR, down to its 6.3-second 0-60 mph time and 150-mph top speed. We’ll talk more about that mild-hybrid, high-output Evoque soon—when we drive one, for example. On its global launch in Greece, Land Rover sent out the base version, an Evoque with a 246-hp version of the same engine and set up with a steel suspension and 20-inch wheels and Pirelli Scorpion tires. As a base model, it’s long on the stuff we recommend: low-end grunt and lots of usable grip. With its turbocharger set to reach peak torque down at 1,300 rpm, the paddle-shifted Evoque P250 accelerates strongly out of corners and out of toll gates. It’s much, much quieter and much less grating than the old turbo-4 in the previous Evoque, which engineers credit to the way it’s mounted closer to its midline for less shaking and vibration. 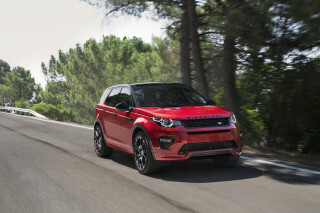 This version scores a 7.0-second 0-60 mph time, a 143-mph top end, and it feels energetic enough in most scenarios, though more power in uphill passes will be welcome since the Evoque tugs around somewhere between 3,935 and 4,075 pounds of itself, depending on the model. The new ZF 9-speed automatic fiddles less with shifts than its predecessor too, and save for the infrequently firm upshift, it’s better suited to the Evoque’s more refined charms. What’s missing? The rotary shifter. It’s been replaced with a conventional lever, which Land Rover says will make a comeback in most models, save for the Range Rover and Range Rover Sport. Land Rover’s new all-wheel-drive system in the lower-output Evoque can decouple its rear axle for better fuel economy. It’s still teamed with a set of drive modes that situate the Evoque from a comfortable baseline into modes that alter traction for snow, mud, rocks, and sand. We traversed flinty goat trails without slitting a single tire, and did much of it in an automatic mode that let the Evoque calculate the best grip and drive modes. In more steeply angled passes, the Evoque’s hill-descent and hill-hold controls kept it planted and controlled. The ne plus ultra Range Rovers can billy-goat their way into much trickier territory; the Evoque won’t leave any weekend cabin jaunt aborted. Properly equipped, it can wade through 23.6 inches of water and can tow 3,968 pounds of trailer. Where it feels most attentive, the Evoque forgets its country roots and plays up its urbane sophistication. With manual paddle-shift controls engaged, the Evoque can thread its way through loop-de-loop switchbacks like the tall hatchback it is. Its steering doesn’t dole out copious feedback, but it delivers friendly point-and-shoot responses that let the Evoque weave through pretty strands of pavement with much smoother responses than the last Evoque. A new stiffer body helps; so does a set of hydraulic bushings that soothes the suspension when the road gets angry and also hones down all the former Evoque’s rougher edges. The Range Rover Evoque steps up its interior quality, but passenger space is still on the snug side. The 2020 Range Rover Evoque debuts a new architecture, but Land Rover hasn’t added extra space it didn’t need. Four adults fit well (with an asterisk for those in the 90th percentile for height) and cargo space shines. The Evoque’s seats could stand another pass through the plush parlor, though. With an overall length of 172.1 inches, and a 105.6-inch wheelbase, the 2020 Evoque sits marginally bigger than the vehicle it replaces, with slight gains posted in interior space. The front seats come with at least 10-way power adjustment and heating, with 14- and 16-way chairs on more expensive models. To our tall, wide frame, the Evoque’s chairs need wider bottom cushions and less prominent padding between the shoulders. The seat’s bolsters were padded for narrower, shorter frames—possibly a boon for smaller drivers than us. Fine when covered in leather or woven eucalyptus fiber, the seats dazzle in the available woven cloth, a high-end touch that mirrors finishes found in the ritzy Velar. The Evoque’s console has big space for water bottles and smartphones; the door pockets can tote even more, but the console’s not quite as deep or wide. In the second row, the Evoque’s bench seat tilts up to give good leg support, and the seat back rises high. There’s not much head room left behind for tall passengers under the available power-sliding panoramic roof, and knee room is up a fraction of an inch. Anyone fashion-forward enough to ride in an Evoque will have the ideal size-0 to fit perfectly, of course. Fold the rear seats down—Land Rover splits them on 40/20/40 seams—and the Evoque can haul 50.5 cubic feet of luggage and concert merch. Leave the back row up and 21.5 cubic feet of storage opens up with a touch of the tailgate latch, power-operated on most models, gesture-controlled on the elite ones. The Evoque wears much better interior trim in its latest iteration. It’s less plasticky, more tightly grained, and there’s less drone from the turbo-4 engine. Capped with a stitched leather dash and trimmed with wool upholstery, it’s a few notches above the prole-ish trappings of the first Evoque. The 2020 Range Rover Evoque hasn’t been crash-tested yet. In its new edition, the 2020 Range Rover Evoque gains standard low-speed automatic emergency braking to go with standard all-wheel drive and the mandatory rearview camera, which can display a camera view from the rear end or a conventional rearview reflection. Most versions can be fitted with full-speed automatic emergency braking, which comes bundled with adaptive cruise control. An available surround-view camera includes a “ClearSight” view that stitches together images of the road beneath the vehicle, and displays it as a smoothly integrated view that gives a see-through view of the road ahead, particularly helpful for off-road driving. Outward vision is good to the sides and ahead, but the tiny rear side windows don’t offer much of a view over the shoulder. We’ll update this section when crash-test data emerges. See-through cameras, smartphone compatibility and cloth seats add up to a rich Evoque ride. The 2020 Range Rover Evoque bumps its plush quotient by several notches, with distinguished Velar-like upholstery and fanciful digital displays. The $43,645 Range Rover Evoque S comes with power features, automatic climate control, cruise control, LED headlights, 18-inch wheels, 10-way power adjustable front seats, keyless ignition, front and rear parking sensors, automatic emergency braking, active lane control, and an infotainment system with a 10.0-inch touchscreen, Bluetooth with audio streaming, navigation, and Apple CarPlay and Android Auto compatibility. 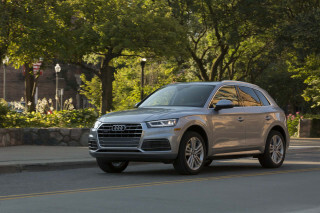 The $48,195 SE adds to that a power tailgate, 14-way front seats, a surround-view camera system, and the TouchPro Duo system with a secondary touchscreen mounted low on the console, which controls various drive and climate-control modes. The $47,595 R-Dynamic S launches the high-output versions of the 2020 Evoque. It’s equipped like the lower-output S model, but has its own cosmetic touches which include black, gray, and copper accent trim. Its $52,145 R-Dynamic SE trim gets 20-inch wheels. The most expensive $56,795 Evoque R-Dynamic HSE adds a gesture-controlled tailgate, 16-way front seats, Meridian sound, full-speed automatic emergency braking, blind-spot monitors, and a rear camera mirror. Most models can be fitted with high-end audio, contrast roof colors, a choice of leather or eucalyptus or cloth upholstery, and wheels upsized to 20- or 21-inchers. Full-speed automatic emergency braking gets bundled with adaptive cruise control, blind-spot monitors, and a surround-view camera system in an option package, it’s not standard. Other options include a black exterior trim package and a choice between a sliding- or fixed-panel panoramic glass roof. The 2020 Evoque also can be fitted with a unique camera system that projects a 180-degree view of the road ahead on the upper touchscreen. It’s a clever system that stitches together the views from a network of cameras mounted near the wheels and the nose; the image rendered from them appears to make the car’s front end disappear, and it’s extremely useful when negotiating off-road obstacles. The new Range Rover Evoque sees its fuel economy dip. With the new Evoque, Land Rover’s smallest SUV does worse on the EPA’s gas mileage tests. The feds rate the 2020 Evoque at 20 mpg city, 27 highway, 23 combined. Last year’s base Evoque carried ratings of 22/29/25 mpg. Mild-hybrid versions of the U.S.-spec Evoque, with the uprated turbo-4, carry the same 23-mpg combined rating as the standard version, though real-world mileage may be better. The 48-volt mild-hybrid version can shut off the engine at speeds slower than 11 mph. In the city cycle it improves to 21 mpg, but on the highway it drops to 26 mpg. Land Rover will offer a plug-in hybrid in other markets, but it’s not in the plan for the U.S. Looking for a different year of the Land Rover Range Rover Evoque?